Dr. Bob Stein is a graduate of Michigan State University where he distinguished himself with a perfect 4.0 preveterinary GPA. He was awarded the Phi Zeta Award for graduating second in his class and the AAHA Senior Student Award for best overall proficiency in small animal medicine and surgery. His interest in surgery led him to the University of Minnesota where he spent an additional year studying advanced surgery under the guidance of the board certified surgical faculty. In 1991 Dr. Stein was bitten by the anesthesia & pain management bug while attending a multiday program at Michigan State. His general practice, the Amherst Small Animal Hospital, began the widespread use of pain medications shortly thereafter. In 1997 Dr. Stein began a series of 7 anesthesia & pain management clerkships at Michigan State University. In 2006 Dr. Stein spent the entire month of February on the anesthesia & pain management service at the University of Florida. In December of 2005 Dr. Stein successfully completed the American Academy of Pain Management credentialing process making him only the 4th veterinarian at the time to be awarded the title of Diplomate, American Academy of Pain Management. 2007 saw Dr. Stein complete the Chi Institute small animal acupuncture certification program to become a Certified Veterinary Acupuncturist. To reinforce his skills he has since taken 2 advanced small animal acupuncture training sessions. 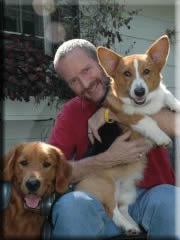 Dr. Stein became a Certified Canine Rehabilitation Therapist in 2009 and a Certified Veterinary Pain Practitioner in 2011. His current focus of study is on the crucial role that muscle pain (myofascial disease) plays in the development and maintenance of chronic pain. He successfully completed the rigorous 5 session Myopain Seminars myofascial dry needling program in 2012 becoming only the second veterinarian to become a Certified Myofascial Trigger Point Therapist. Dr. Stein has gone to extraordinary lengths to help other veterinarians bridge the gap between what's typically found in small animal veterinary practices to what we now know is currently possible given the appropriate investment in training, equipment, and staff. 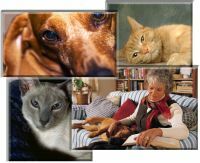 To this end Dr. Stein created the Veterinary Anesthesia & Analgesia Support Group website; a site that currently hosts over 20 thousand visitors monthly. Dr. Stein is also one of a select group of anesthesia & analgesia consultants on the Veterinary Information Network; an advanced information provider to over 31 thousand veterinarians and veterinary students worldwide. Click here to see Dr. Stein's full resume.